What Movie Are You Looking Forward to this Summer? It’s the first weekend of May, meaning that the summer movie season has already begun. While in the next few months will have a plentitude of large blockbusters, the film I’m most looking forward to is Richard Linklater’s widely anticipated Boyhood, a project over a decade in the making. And because of its cast (including Bryan Cranston, an actor that I among millions of other Breaking Bad fans worship) and my childhood nostalgia, I will see the new Godzilla movie (and hey, it can’t be worse than the 1998 version). But what about yourself? « What’s Your Policy on Spoilers? It certainly looks like a good summer. I’ll go with Clint Eastwood’s ‘Jersey Boys’. A mother-daughter thing. I have to say I never got into The Four Seasons, but I am interested in Eastwood’s take. Godzilla is up there for me as well, but one I’m really excited for is Dawn of the Planet of the Apes. I’m looking forward to seeing what Matt Reeves does with it. Godzilla really has to do with childhood nostalgia. I watched so many of those campy Japanese movies when I was a kid and the 1998 version crushed me. Hopefully this will do much better. The Godzilla movie’s riding on a lot of momentum. It can’t be worse than the 1998 version though, right? I have to admit there’s not much on the horizon that really interests me apart from Interstellar, but I may give Days Of Future Past and Guardians Of The Galaxy a go because I’ve sat out the recent couple of Marvel-related films. I am also looking forward to Boyhood, like you. Blue Ruin is out in the UK soon, and I’m keen to see that too. I’m really interested in Boyhood. Linklater’s one of the best directors working right now and he’s got a great batting record. 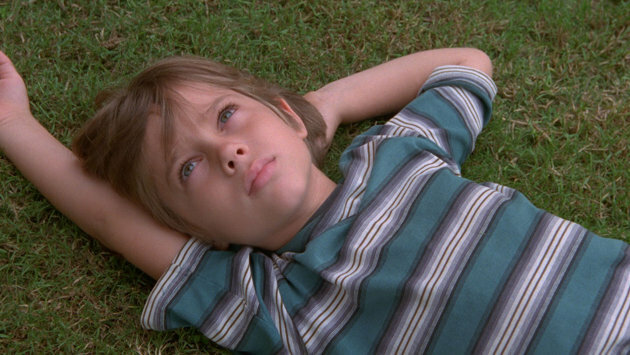 Gotta be excited for Linklater’s Boyhood. That sounds like a very ambitious film. Linklater’s one of the best filmmakers working today and I get very excited whenever he has a new project. I’m sure Boyhood will continue his winning streak. Just looking at this month, I can’t wait to see Days of Future Past. Oh Godzilla looks pretty good too, I like Cranston and also Aaron Johnson. In terms of indie films, I’m looking forward to Belle. Boyhood, Life Itself and Lucy are the ones I am most looking forward to. I’m sure there are some great indie films I missed, too, though. I forgot about Life itself, that’s one of my most anticipated as well. Looks like a good summer.